I am passionate about creating clean, modern, cool, affordable designs for my clients without sacrificing quality. 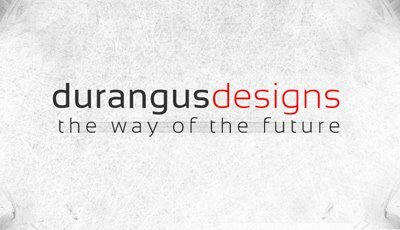 At Durangus Designs I have had the privilege of designing for multiple forums and offering a variety of products from business cards and movie posts to book art, CD cover art and even prop showcasing. I've been working in the graphic design business for the past 4 years, recently expanding my skills to web design & programming within the past year. I believe in my commitment to my client in quality, time and communication. Need a graphics designer? Let's work on it together. Email me.